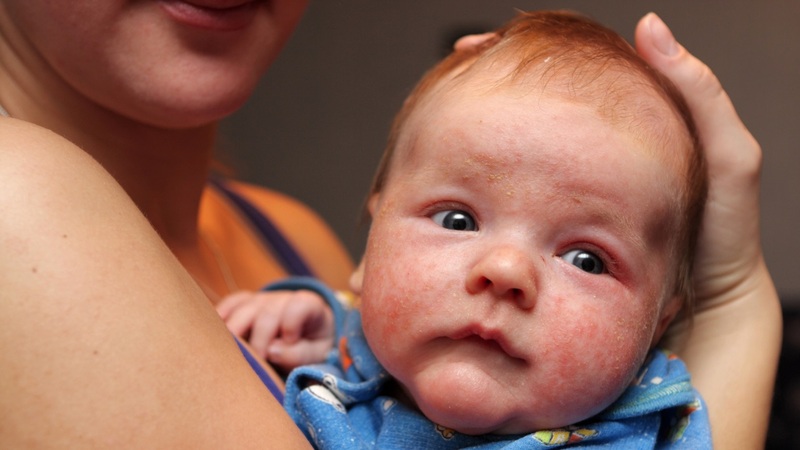 If you think only infants suffer from eczema, think again. The uncomfortable, itchy rash that most people relate to babies and young children occurs frequently in adults. Although many adults with atopic dermatitis (commonly known as eczema) develop the disease in childhood and carry it through life, a large number are first diagnosed in adulthood — a trend being discussed at the American College of Allergy, Asthma and Immunology (ACAAI) Annual Scientific Meeting. “Atopic dermatitis (AD) is underdiagnosed in the United States,” says allergist Luz Fonacier, MD, ACAAI board member and presenter at the meeting. “Many adults don’t seek out medical care, preferring to self-treat instead, either with home remedies or over-the-counter drugs. Often, they aren’t aware they have eczema, and they also don’t know treatments have changed a lot in the last few years. There are new drugs and topical medications that can make a huge difference in their quality of life.”In addition to the itching and discomfort, people with eczema can experience problems with sleep and emotional distress, and it can affect their social life. Allergists work with patients to introduce therapies that treat uncomfortable and sometimes painful symptoms like dry skin, itchiness, and scaly rashes that can become infected. Easing the discomfort associated with painful symptoms can improve quality of life and make sleeping easier, as well as relieve emotional distress and embarrassment.”In the last few years we’ve seen the introduction of targeted therapies, also known as precision medicine,” says allergist Mark Boguniewicz, MD, ACAAI member and lead author on a soon-to-be-published Atopic Dermatitis Yardstick. “The Yardstick will have practical recommendations for physicians about the treatment of AD.”Two new medications have recently been approved for AD. The first, crisaborole, is an ointment that reduces itching, redness and swelling of the skin. It is the first anti-inflammatory medication to be approved for the treatment of mild to moderate AD in more than 15 years. It is approved for patients 2 years of age or older. Dupilumab, the second new medication, is a biologic therapy given by injection for patients 18 years or older with moderate to severe AD who haven’t responded to, or can’t use topical medications.”The takeaway message is that there are effective medications available that help relieve eczema symptoms and now can also target the underlying cause,” says Dr. Boguniewicz. “People with eczema have been frustrated by the limitations of existing treatments. We’re very excited by the new medications which were developed based on better understanding of atopic dermatitis. We expect additional therapies to be approved soon. An allergist has the right training and expertise to diagnose your eczema, and to help you find relief with the right treatments.”If you think only infants suffer from eczema, think again. The uncomfortable, itchy rash that most people relate to babies and young children occurs frequently in adults. Although many adults with atopic dermatitis (commonly known as eczema) develop the disease in childhood and carry it through life, a large number are first diagnosed in adulthood — a trend being discussed at the American College of Allergy, Asthma and Immunology (ACAAI) Annual Scientific Meeting.